"Fumes, just gasoline fumes hit me in the face"
A veteran subway conductor acted quickly when riders alerted him to someone pouring gasoline onto the floor of the train. Andrew Siff reports. A fast-acting subway conductor rushed to evacuate his train at a subway stop in Brooklyn when he spotted someone pouring gasoline all over the train floor and feared an explosion. 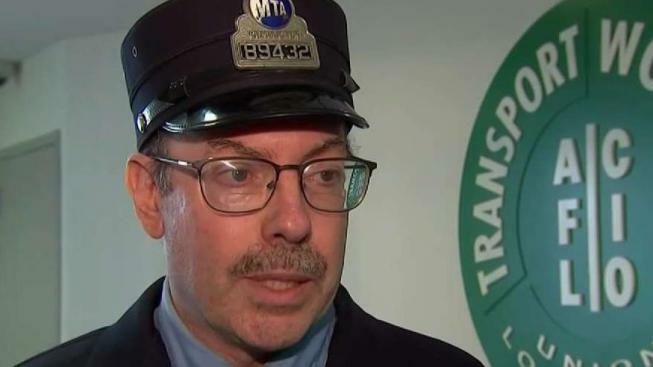 Conductor Benjamin Schaeffer said when his train pulled into the 36th Street station in Sunset Park on Sunday, passengers approached him, telling him they saw someone spilling gasoline on the floor of the train. "I opened the door, and fumes -- gasoline fumes just hit me in the face," conductor Benjamin Schaeffer told News 4 New York in an exclusive interview Tuesday. The veteran conductor with 21 years on the job quickly ordered an evacuation, fearing a fire or an explosion: "I had to act fast." "I told everyone just, 'Get outta the car,'" he said. "No pleasantries. No courtesy. It's an emergency situation, just get outta the car." Police and firefighters arrived, and the man suspected of spilling the gas was arrested. Passengers were relieved. "I was proud of him," said Joe Costales of the Transport Workers Union. "This is what we train to do in a daily emergency situation." Train service was only disrupted briefly, and in fact, most Brooklynites likely never knew what took place. The MTA said the best outcome is both passengers and workers alike were paying attention and spoke up.